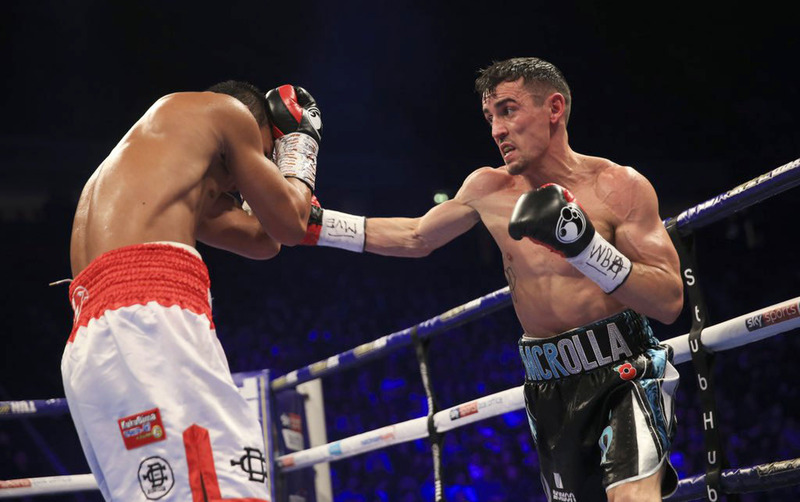 Manchester’s Anthony Crolla has been there and done it during his rollercoaster career. Never tabbed as a world champion in the making, Crolla confounded the critics and achieved his dreams. He won the WBA lightweight championship in November 2015 by halting Columbian slugger Darleys Perez. He was the underdog in his first defense against then-unbeaten power-puncher Ismael Barroso but fought brilliantly to win by knockout. Jorge Linares proved to be a bridge too far, but Crolla, who is ranked No. 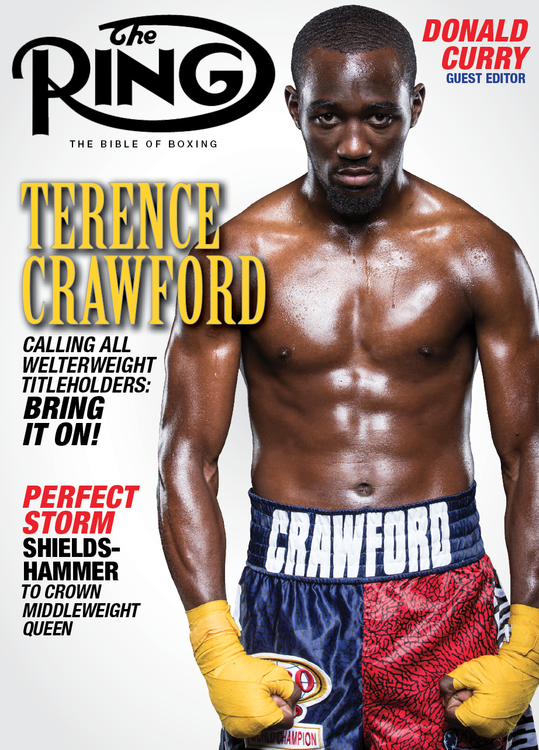 4 by The Ring at 135 pounds, remains a top player in his division. On Friday at the Staples Centre in L.A., the affable Englishman faces off against the great Vasiliy Lomachenko and The Ring, WBA and WBO 135-pound title belts will be at stake. Despite having ample experience at world-level, the challenger knew that this training camp would border on torture as he readied himself for battle against arguably the finest prizefighter in the world today. “It’s been more intense, and we’ve tried to train ourselves mentally for how tough it could get in there,” said Crolla in an interview with The Ring. “Lomachenko has the habit of making opponents quit so we’ve been training to deal with frustration, if that makes sense. He frustrates the life out of opponents and that’s not just because of the beating he gives them, it’s because they’re having zero success. “He’s so well-balanced, and when he sees the opening he’ll pounce,” said Crolla in response. “You see it in the Rocky Martinez knockout; he’s all around him and then bang, bang – uppercut, right hook. That was a brutal knockout. Paulie Malignaggi has got it bang on there. People do talk about the footwork, but it’s how well-balanced he stays when he’s moving around the opponent and looking for his angles. Crolla (34-6-3, 13 knockouts) has poured his heart and soul into this task, but his mental strength has also been tested to the full. The Englishman has remained professional and obsessively determined despite being 16-1 against in a two-horse race. The bottom line is that Lomachenko would start favorite against any fighter at 135 pounds, but the response to the Crolla fight being made official was met by ridicule in some quarters. “I’ve been at world-level for a very long time,” said Crolla defensively. “I’ve been in The Ring top 10, which I’m super-proud of, for a number of years. I’ve not been handed this shot, I’ve not been randomly picked or won a raffle. People seem to forget my first fight with Linares because he beat me well in the rematch. The right man won in the first fight, but there wasn’t loads in it. I boxed Ricky (Burns), and look what he’s achieved. I fought Daud Yordan, a tough old fight, and he’d been in the (WBA lightweight) top 10 for years too. There’s every possibility that this will be Crolla’s last throw of the dice at world title level. He’s done everything, more than he would have expected, and there aren’t many dragons left to slay. At 32 years old, heading into his 44th professional fight, the Manchester man is in the twilight of his career. He got married last year and has a young son. “I love boxing, it’s been good to me and it’s a huge part of my life,” said Crolla in earnest. “Recently, I’ve been training kids at my old amateur gym and I get great satisfaction out of doing that. But the flipside is that boxing loves no one back. If you’re in boxing too long, it can take too much out of you. I’ve achieved in the sense that I won the world title, I’ve got a house paid off and a little bit more. I’m not living a lavish lifestyle, but life is good and I got out of boxing what I wanted. Lomachenko-Crolla will be broadcast live on ESPN+ in the U.S. and Sky Sports in the U.K.
Amir Khan: If Brook is a Real Man – He Should Admit He’s Gay!